Find out more about invasives at the Center for Invasive Species Research. 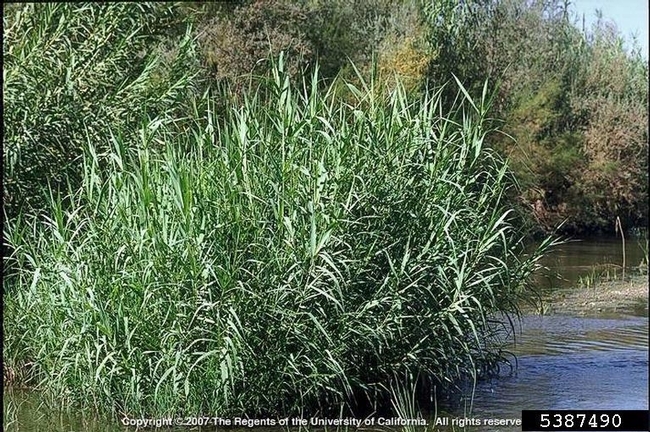 How do invasive species get into California? Invasive species are often native to a country or area different to that in which they have invaded and are now causing problems. For hundreds of years and people have traveled throughout the United States and from other countries, they brought species of plants and animals with them from their native lands to California, either accidentally or intentionally. Some introductions had positive outcomes (food and horticultural crops) while others did unexpected damage (certain invasive plants). Many invasive plant problems began as ornamental plants for sale by nurseries and garden centers. Today, exotic and invasive plants are still available in commercial nurseries. Other exotic species arrive in products brought into California shipped through commercial trade or by travelers. Learning about which species are threats to California. Using native plants in your landscape. Not moving firewood from place to place. And many other ways to help! In addition to learning about invasives, you can also take action by joining an event near you. Check the 2018 Schedule of Events link on the California Invasive Species Action Week for more information.